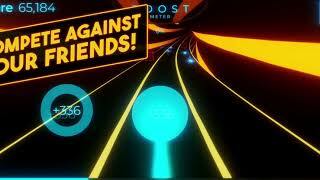 Fly along a neon futuristic track to the sound of your favorite music! Use your sense of rhythm and reflexes to travel through a colorful and amazing race against the beat! You need to collect orbs to gain power and unlock upgrades. Collect 100 orbs in a row to activate the boost and experience insane speed! 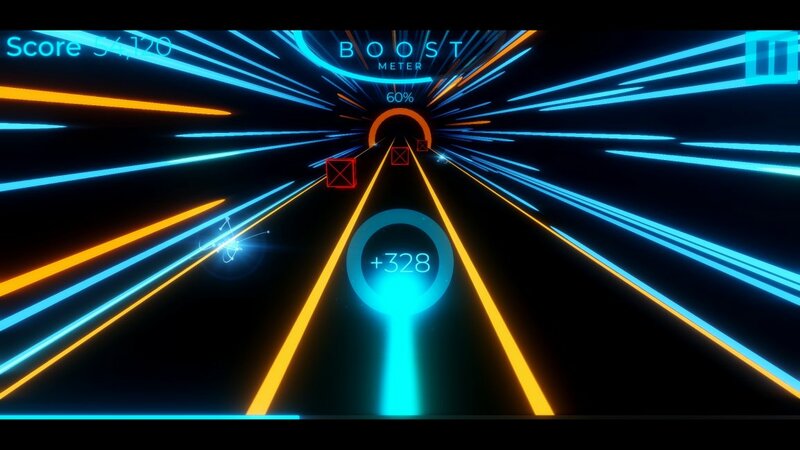 Avoid obstacles to increase your boost and keep the music pumping. The faster the BPM of the song, the more difficult the race! Try your favorite genres: Pop, EDM, Rock, Trap, Hip hop from US-UK, K-Pop, Techno, House, and more! This game is the most engaging way to experience your music library (supports mp3, wav, and ogg file types). Join the community to share scores and music! Hold on tight, turn on your boost and collect as many orbs as you can until your boost runs out...and then do it all again!